"Amazing opportunity to live in the exclusive Gambrill Pointe community on one of the largest lots. Large custom deck with a double-sided fireplace serving outside and inside. Exceptionally large gourmet kitchen. Spacious partially finished basement. Beautiful master suite with attached sitting room. Option for 6th bedroom. Do not miss this opportunity!" 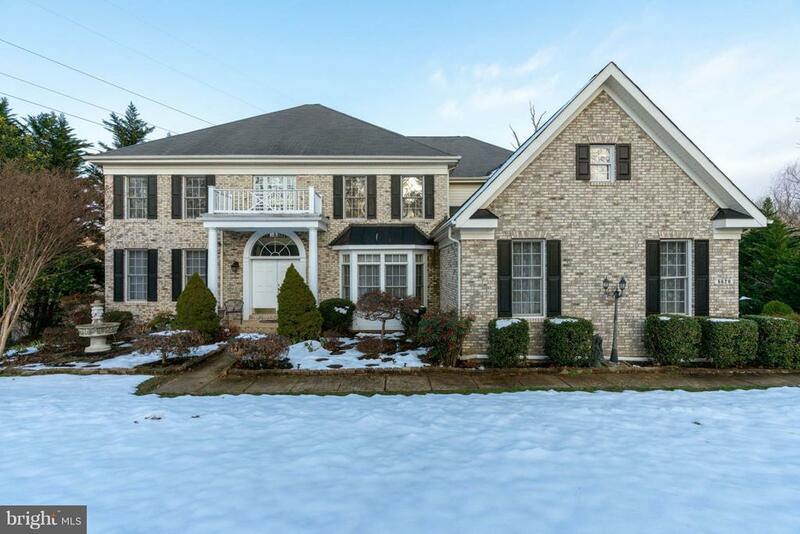 "Beautiful brick front home in a sought after West Springfield High school district. Hardwood floors in amain level, gourmet kitchen with center island. Fully walk-up basement with media room and full bar. Landscaping light and sprinkler systems." "UNDER CONSTRUCTION. READY IN 60 days. PLEASE DO NOT ENTER PROPERTY OR HOME UNLESS AGENT IS PRESENT. ACTIVE CONSTRUCTION SITE. Stunning-3 Fin Lev. Approx 6000 sq ft finished 5BR 5 BA. Truly a showcase home. Two story entry foyer with hardwood flooring on entire main level and stairs to upper level and upper level hallway. Comfortable living room with large windows on front and side. Dining Room features bay window, serving bar and butler's pantry. gorgeous kitchen features stainless appliances, hardwood flooring, 42 cabinetry, granite counters and recessed lighting. Kitchen island with overhang for quick breakfasts. Breakfast nook with french doors to future deck. Adjoining family room features coffered ceiling, hardwood flooring, gas fireplace with stone surround, recessed lighting and large windows to allow natural light. Den/Study or potential guest bedroom with full bath finishes off main level. Family foyer from garage allows the dirt and clutter to stay out of sight. 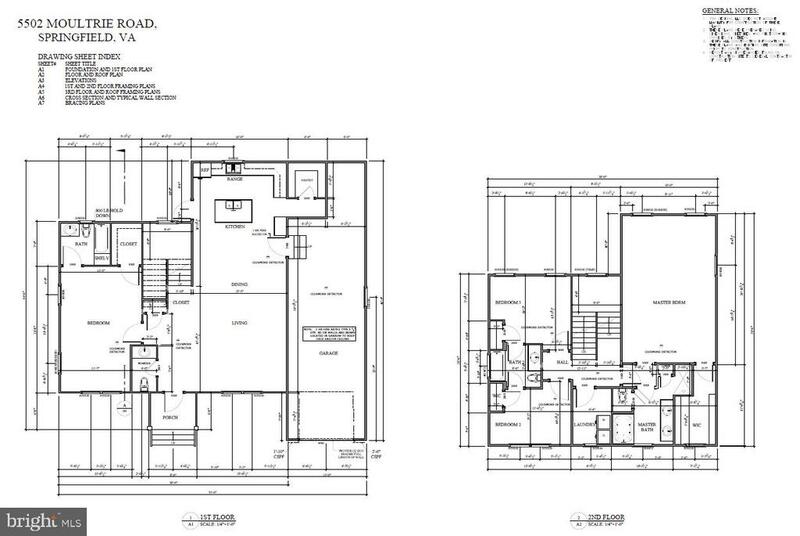 Upper level features a large master suite with tray ceiling, walk in closets and luxury bath. Jack and Jill bathroom between bedrooms 2 and 3. Fourth bedroom has en-suite full bath. All bedrooms are scheduled to have wall to wall carpeting.Large laundry room is located on bedroom. Secondary heating and cooling system is located on bedroom level. Lower level/basement features 5th bedroom with full bath, exercise/media room, large wet bar area and giant recreation room. Walk up stairs to rear yard.Ceiling heights- main level 10. Basement and bedroom levels are 9' . For private tour, please contact us directly.."
"New construction in 2019. Quality built by M & T Home Builders. Lake Braddock School Pyramid. Walk to Ravensworth Elementary. 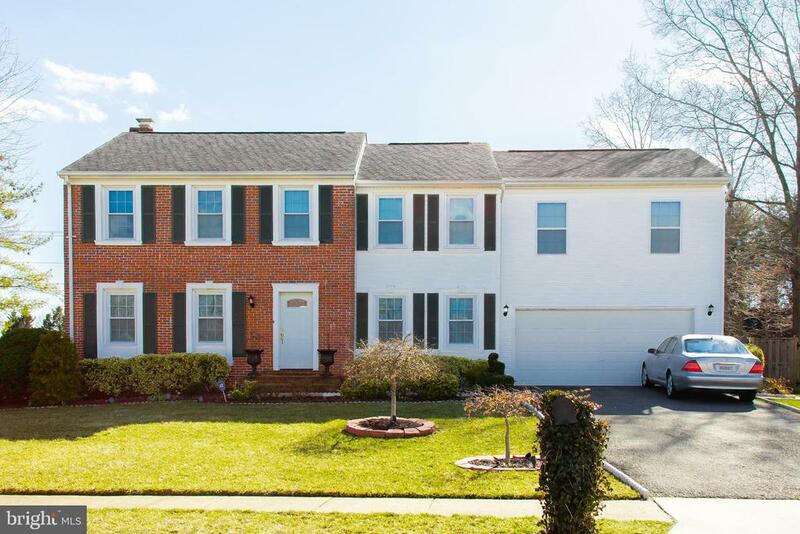 3,000 SF, 4 bedrooms with 3.5 baths, Easy access to 495 & 395, 9.5 miles to Tysons, 12 miles to the Pentagon, .25 acre lot on quiet street, walk to Lake Accotink Park. Choose your cabinets, appliances, tile and wall colors. Displayed drawings are similar but not exact. 5th bedroom and bath on upper level will be an option at an added cost." "To Be Built - This stunning wide open floor plan is a must see! Offering a finished basement rec room & bathroom as a buyer's incentive. Just 1 lot available to build custom from the ground up cost effectively. Price reflects construction financing discount. 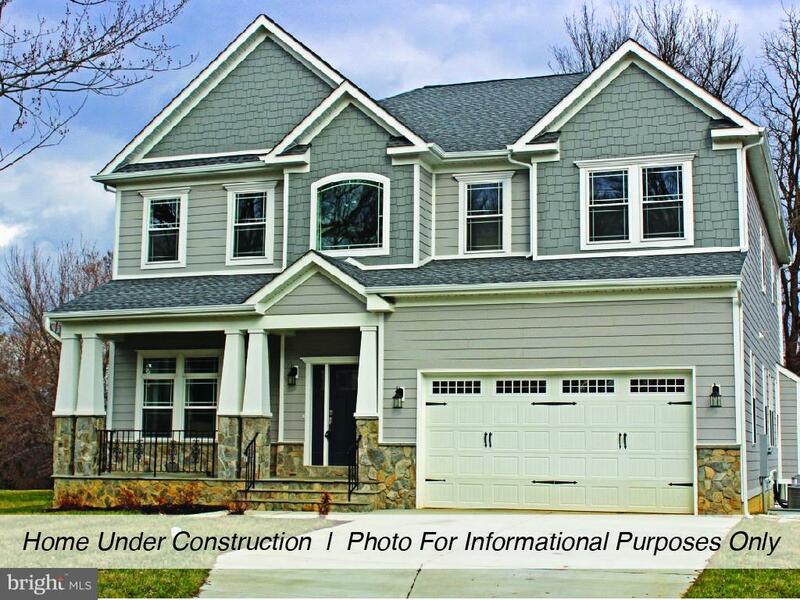 Wakefield Homes is a custom builder and has been building for over 50 years in NoVA. Truly beautiful homes and a builder that cares about EVERY home he builds." 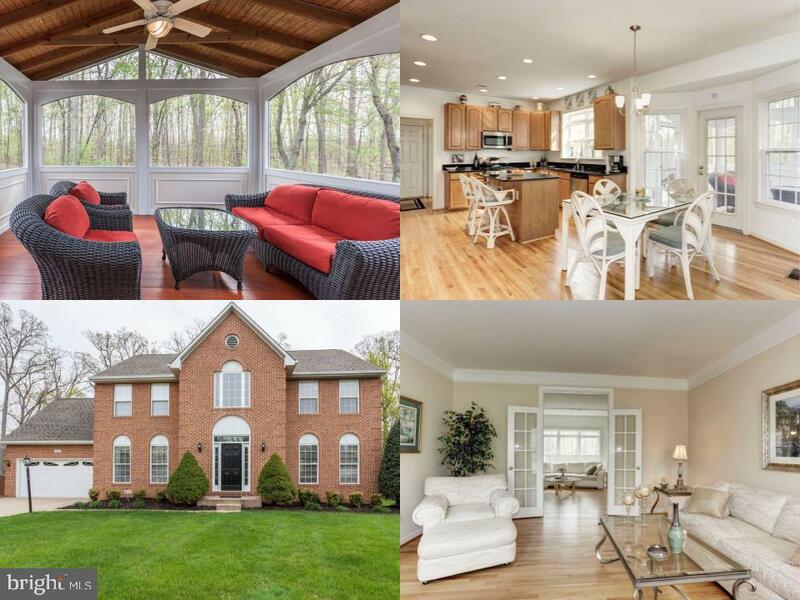 "This stunning colonial home has every amenity you have been looking for! Meticulous owners have maintained this home and kept it spotless. Host every holiday and gathering here! This beautifully updated kitchen, with stainless steel appliances, granite counter-tops, and large island opens up to a breakfast area, and a spacious living room where your guests will have plenty of room to entertain each other! 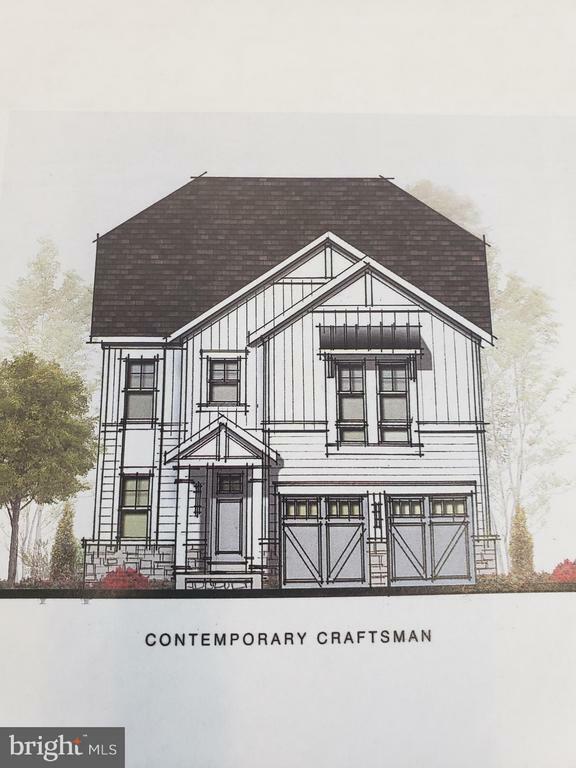 Guests will also enjoy the breathtaking view of your backyard on the Mahogany deck with custom wrought iron railings, and patio that connects to the main level and basement! You will not feel like you are in Northern Virginia! Evenings on the front porch will be your time to unwind on your rocking chair as you take in the beautiful sunset and watching the crew play in the cul-de-sac. Working from home will be preferred in your huge home office with built in cabinets.The huge, fully finished basement with an additional room leave you with numerous options: a guest bed room with access to a full bathroom,a workout room with weights and treadmill, pool table and big screen tv to watch the games!! Also basement is plumbed for a wet bar. !The master bedroom and bathroom is to die for! 2 walk in closets, a sitting area with 5 windows that allow gleaming light through. A perfect retreat to kick back and read or Netflix it. To top it off a bathroom with plenty of space, with a jacuzzi and shower!Easy access to Burke VRE, 495, 395, 95, Springfield metro, and FFX CO Parkway.West Springfield High School renovation program is set to be completed for the fall of 2019. With an expanded gymnasium, renovated weight room, new music hall, 3rd floor science hall and more!" "**Price Reduced** Price reflects construction financing discount. Whoa! 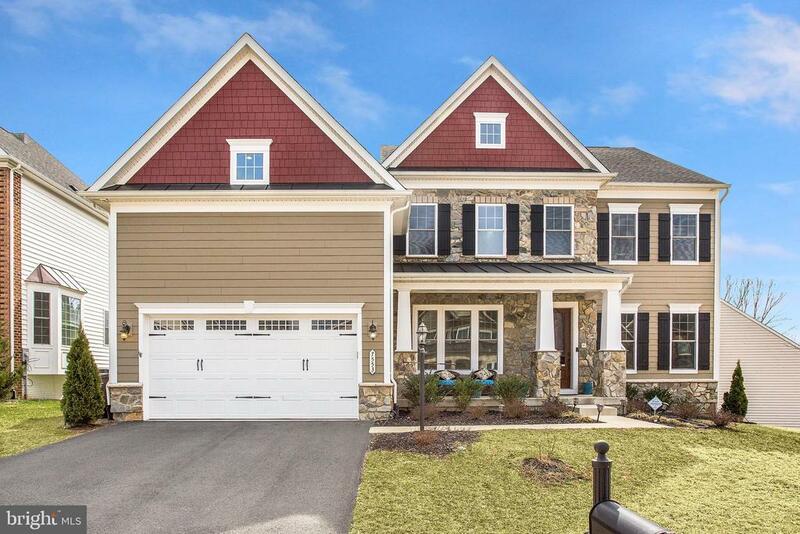 First Floor MBR in NoVA for less than $1M! Our Plan / Your Design. Low $ HOA. Beautiful new construction home, design for yourself, great for entertaining and low maintenance. Gleaming hardwood floors, Granite, SS Appliances. Over-sized bedrooms & tons of closet space. Built by Wakefield Homes, 50-yr NoVA Custom Builder!" "Gorgeous, well kept home in great location. No through street in this cul-de-sac. Short walk to West Springfield High School. 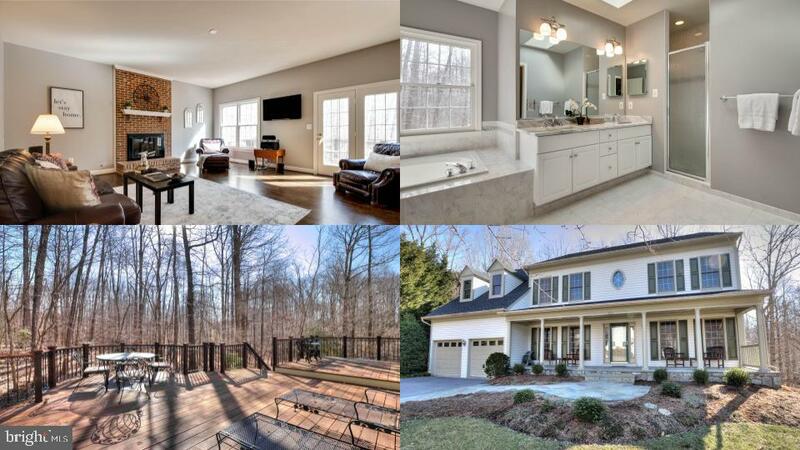 Close to shopping, restaurants, VRE, Metro, bus stops and entertainment. Whole Foods and Giant just 5 minutes away. This home has it all. True walk-out basement with windows for lots of natural light. Level back yard-the best in the neighborhood. Screened in porch with maintenance free flooring. Hardwood floors throughout main level. Upper level has spacious master bedroom and bathroom. All bedrooms are well sized and have high ceilings. Lower level has a work-out area, cinema room, full bathroom and a huge bedroom. Don't miss out. This one is not going to last!" "Interior photos are from other Wakefield models. This stunning wide open floor plan is a must see! Offering a finished basement rec room & bathroom as a buyer's incentive. Just 1 lot available to build custom from the ground up cost effectively. Price reflects construction financing discount. 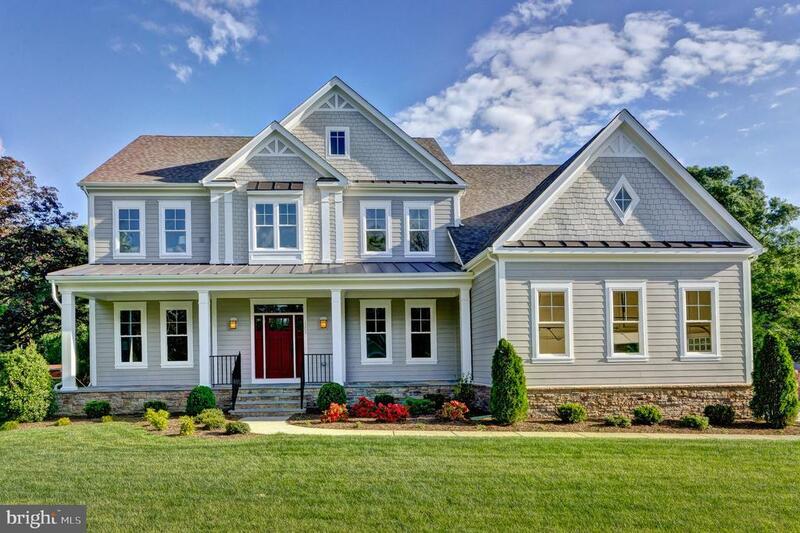 Wakefield Homes is a custom builder and has been building for over 50 years in NoVA. Truly beautiful homes and a builder that cares about EVERY home he builds." "BEAUTIFUL NEW HOME COMPLETED AND READY FOR OCCUPANCY. High quality finishes and details. Open floor plan, STUNNING gourmet kitchen with quartz counter tops. Custom details thru out the home. Easy access to major roads while finding peace at home. LUXURY Master Bath with soaking tub. Hardwood flooring with carpet in bedrooms. MUST SEE!!" "NEW CRAFTSMAN. Two-car front load garage. Elevated front covered foyer entry-way. Three-levels of light filled open concept with hardwood floors on main level. Spaciousroom with coffered ceiling and gas vent stone back-splash fireplace. Gourmet eat-in kitchen with high end stainless steel appliances, customcabinets and granite counter-top. 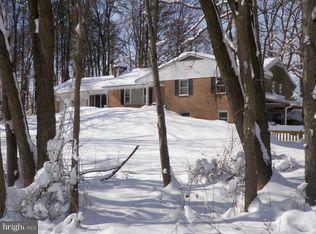 Walk-out rear basement with full bedroom and full bathroom, Big backyard." "Gorgeous Custom Home Located on a Very Private Piece of Property. Updated Interior. 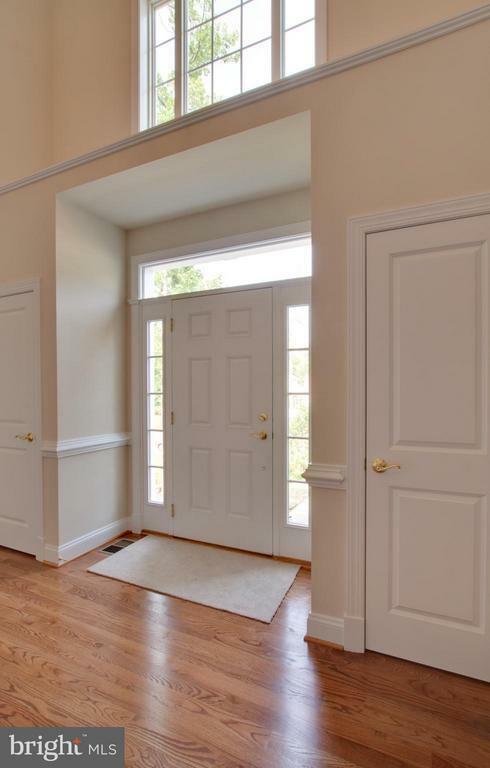 Welcoming Foyer with Plenty of Natural Lighting Throughout the Home. Open Kitchen and Breakfast Area. SS Appliances, Wood Floors and Granite Countertops. Main Level Master Bedroom Optional! Gourmet Dining Room. Columns and Arched Doorways Throughout. Master Bedroom with Sitting Room and Luxury Master Bath/ Walkin Closet. Gas Fireplace! Multiple Bedrooms and Bathrooms on Second Level. Crown Moldings. Fully Finished Basement- Walk Out. Full Bed and Bath! THREE Car Garage! Multiple Decks- Great Home For Entertaining!" "Gorgeous addition and 800 sf patio! Renovated in 2015, Master Bedroom, and Master Bath, walk in closet, Kitchen, Family Room and basement bathroom! New flooring, gourmet kitchen with granite tops and custom cabinetry. Sprinkler system and exterior lighting." 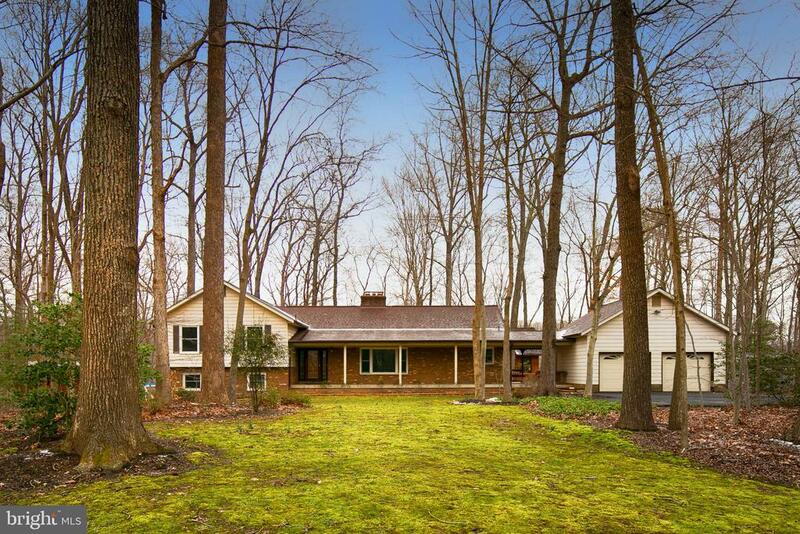 "**Incredible opportunity**Over 4800 sq feet home on almost 1/2 acre lot. 3 units in one with over $3700 in rental income. Seller says that there is a possibility of a special use (Doctor/dentist office, church, day care center, etc.) 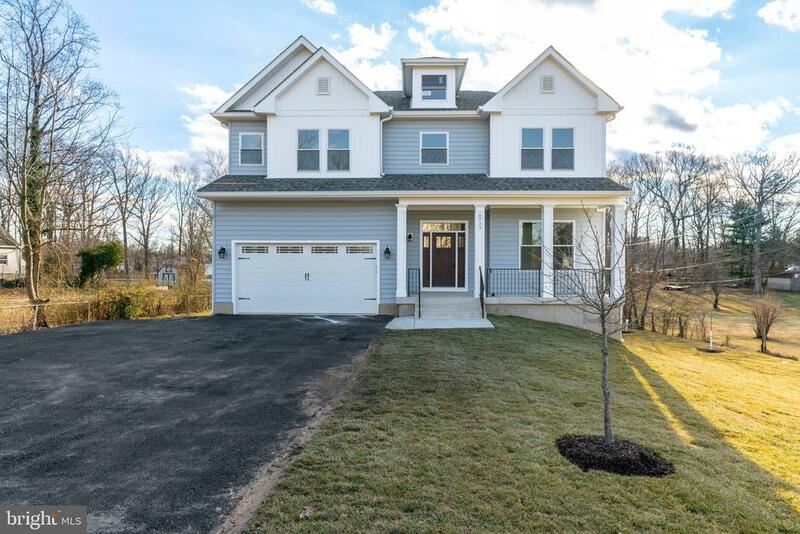 2nd addition was built in 2012 & home has 2 zone heating, brand new roof, enormous garage (840 sf) with tons of parking for extra cars & excellent location. Mins to 395, Springfield Metro, Lake Accotink Park!" "This unique custom home, full size rambler mated with a split level to form a large 4-levels split level home. Both basement levels are walk-out. It provides you with an incredible flexible floor plan. Features a spacious FR with heatilator fireplace and hrdwd flrs; tasteful kitchen with all hickory cabinets, DR and LR with another FP. 3 BRs on the upper lvl. Lower lvl 4th BR and a large rec room with walkout to a large patio. The main house is surrounded by an extensive covered walkway, breezeway and covered porch, connecting to an oversized garage and the fully heated detached sunroom/office. easy access to all the major commuting option, such as I-95, Fairfax County Parkway, Rt 1, Springfield Metro as well as VRE Station." "This elegant and beautiful brick front Colonial home is located in the Monticello Forest subdivision of Springfield. Well maintained, spacious, multi-generational/move-in ready home has everything you are looking for! Grand entryway foyer with Palladian window, ceramic tile, and pendant chandelier. Superior craftsmanship and attention to detail are evident. 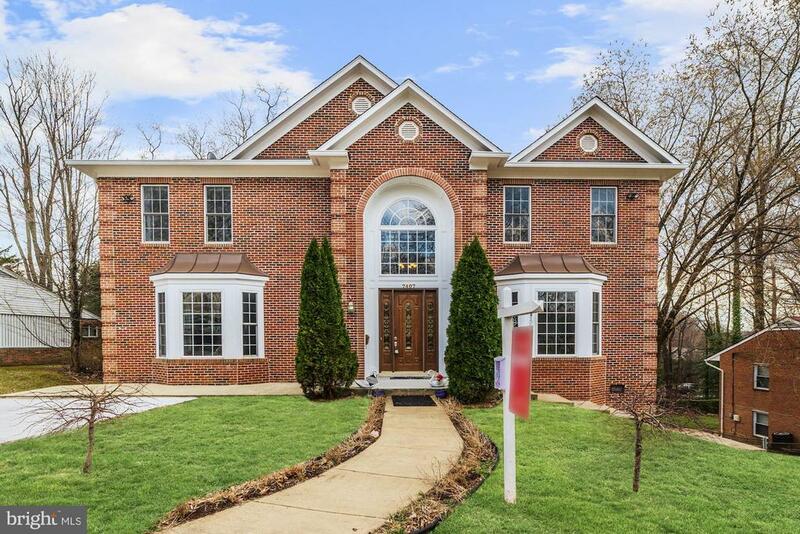 Stunning curved doorways, crown molding, chair rail, and wainscotting.Gleaming hardwoods, large kitchen with double french doors to deck overlooking the private yard. 1 Main level BR + 1 Full BA, 6 Upper-Level BR's and 2 Full BA's.The finished Lower-Level has a full-size kitchen, LR/DR area, 1 Bedroom, 1 Full Bathroom, separate entrance. Close to Springfield Town Center, commuter lots, and much more. This is a MUST SEE HOME!!!" "Builders: 2 - 3 lot potential on over 1 acre wooded parcel currently zoned R-1. Should easily be re zoned to R-2 or R-3 in keeping with the comprehensive plan for the neighborhood according to the county supervisor. Sought after neighborhood with great schools and surrounded by homes selling for over 1.2M. Sold AS IS Call with questions. PLEASE DO NOT DISTURB THE TENANT...VALUE IS IN THE LAND"
"Magnificent and exquisitely appointed 3 level Colonial located on a large corner lot. VIEW THE 3D/VIDEO VIRTUAL TOUR! IT'S A MUST SEE!. 3100 finished sq. ft. on upper two levels plus a finished walk out basement. Close to 4500 total sq. ft. with upper level-finished basement and unfinished storage area. Large.42 acre Lot. 2 Car Garage. 5 Bedrooms. 2.5 Bathrooms. Premium Azek rear deck 30 x 14 with Retractable Sunsetter 20 x 14 LED lite awning. Premium Azek front sitting deck porch 34 x 12 with LED bench lighting. Executive chef kitchen with: sub-zero cherry panel front 36~ x 84~ Fridge & freezer, built in Wolf microwave, and Wolf double oven, Wolf 5 burner gas cook top with built in pot filler, Miele dishwasher with cherry panel front, U-Line build in wine fridge, instant hot/cold water dispenser built in at sink, and exotic granite counter tops with full size cherry hardwood cabinets. Premium hardwood flooring 1st level, hand scraped maple wide plank flooring in living room and dining room, and oak flooring in family room. Premium hickory hardwood flooring second level, master and three bedrooms. Tiled four Season Sunroom with panoramic windows and Hunter Douglas retractable shades. New carpeting basement, stairs, hallway and 5th bedroom. Replacement windows whole home, and vinyl crane board siding. Extra wide gutters with leaf guards. Custom clothes shelving built in for 5 closets. Custom built in cabinets and book shelves surrounding gas fireplace. Master Bath-Expansive open entry tiled double master shower. Tile Flooring. Granite Counters. Extra deep bath tub in second bathroom. Expansive corner fence lot, with hundreds of perennial flowering plants and lilies. Second floor Laundry. Finished walk out basement 24 x 18, with expansive separate storage areas. Custom Provia entryway doors to front and rear deck, and decorative stain glass sliding door to rear deck from dining room. Easy access to FFX Parkway and Metro. 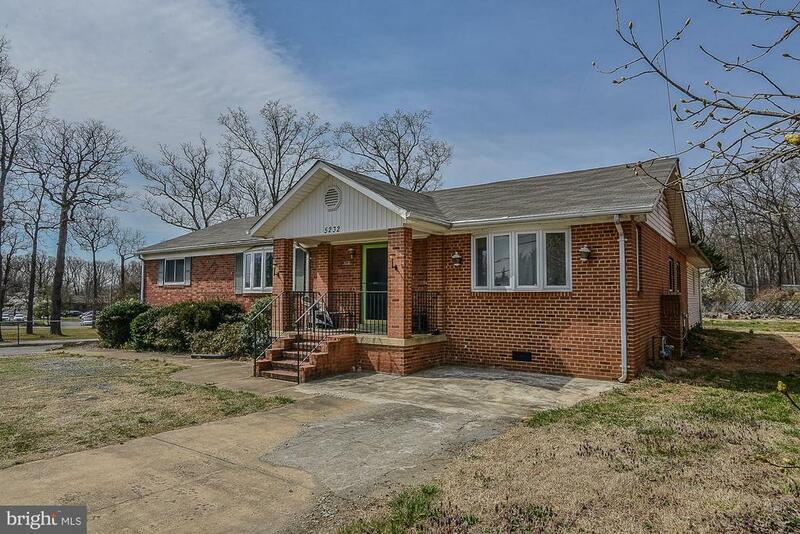 Easy Commuting: Close to Ft. Belvoir, "
"This charming home is located in the sought of Springfield. Situated in a quiet cul de sac, This home features hardwood floors throughout main level, and stairs. separate family and dining room with butler's pantry. Gourmet kitchen , ss appliances. with granite counter tops. New paint on main level. Large master bedroom with sitting area. And so much more. 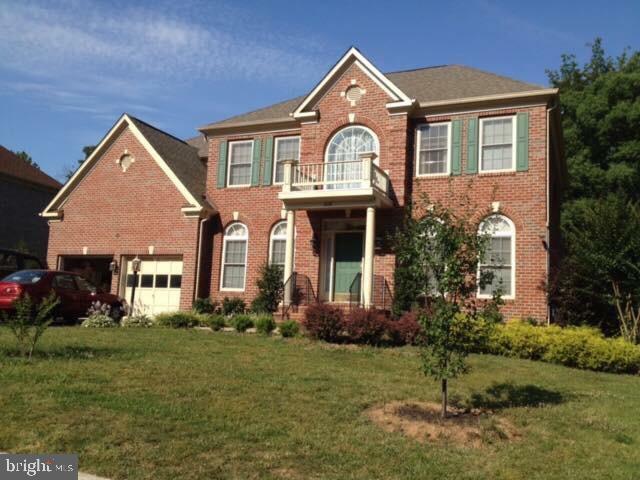 come check it out.showing time 10am-7pm all days"
"Stunning 6BR 4BA brick-front colonial in sought after Ravensworth. Backs to Lake Accotink! Immaculate home. Pride of ownership shines throughout! Newly updated kitchen has stainless steel appliances, granite counters, recessed lighting, gas cooking, breakfast bar and large bay window. Main level boasts two bedrooms, updated full bath & large living/dining combo with walkout to patio. Must-see 2nd level family room with bamboo flooring, ceiling fan, crown molding, recessed lighting, gas fireplace, bay window and gorgeous lake views! 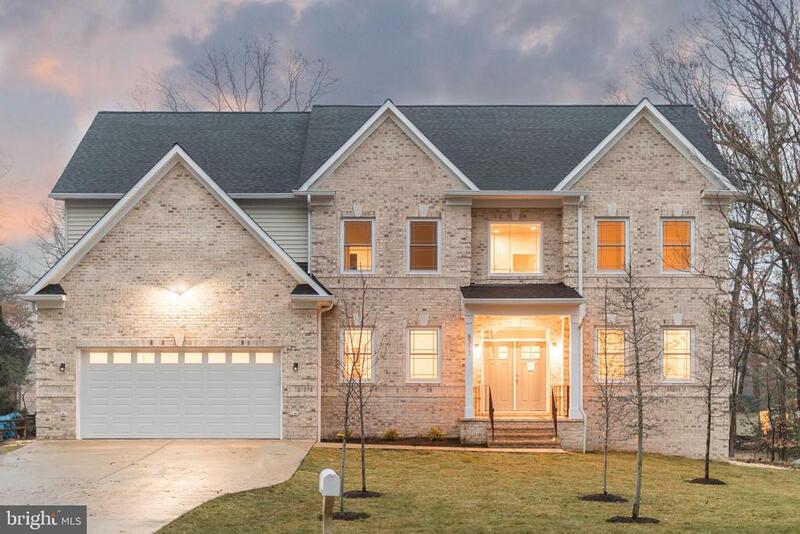 Large master suite has bamboo flooring, huge walk-in closet and updated master bath with granite counters, track lighting and luxurious soaking tub. Guest bedroom with walk-in closet and dedicated bath. 2 additional bedrooms on upper level offer incredible views of the lake! Private, fully-fenced back yard with oversized garden shed and professional landscaping. Large patio and deck. Great for entertaining! Recent updates include flooring, painting, kitchen, baths and landscaping. Lake Accotink offers boating, fishing, biking, trails, mini-golf, playground and more! 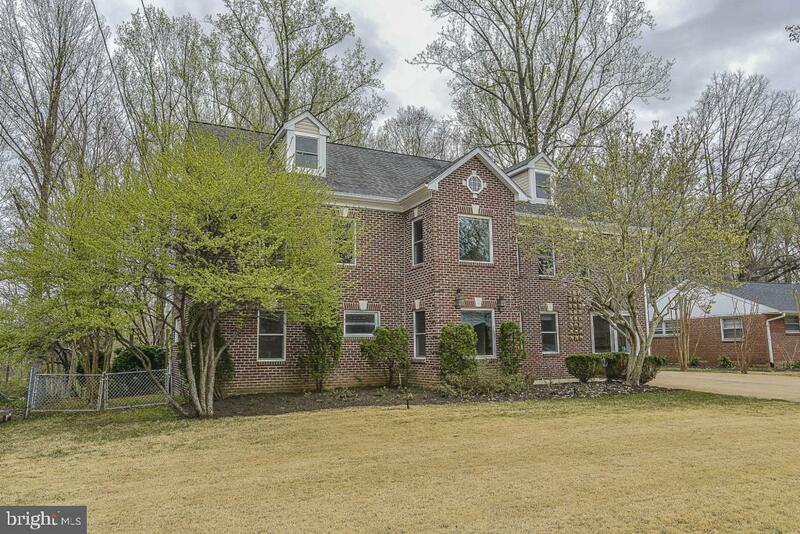 Incredible location close to shopping, restaurants, parks, 495, I-95, metro, Ft. Belvoir and much more. Lake Braddock HS pyramid!" "PRIVATE DRIVE OFF OF BACKLICK -Grand 2 story entry offers a warm welcome to this classic colonial with all the upgrades! Pristine hardwoods throughout the main level, shadow box trim and crown molding provide a lavish, upgraded feel. Cozy up in front of the fireplace in the family room for a night in. Entertain guests as you cook them an elaborate meal in the kitchen with endless counter space and cabinets, breakfast bar, and granite counter tops - and follow it up with a night cap on the peaceful screened in porch with views of your private wooded yard. Late mornings in will become a ritual in this luxury master suite with attached sitting room, double walk-in closets, and spa-worthy master bath with soaking tub and separate shower. Extra long concrete driveway providing extra parking for 6+ cars. 6 zone irrigation system keeps the yard look amazing without the work. Extended garage provides additional storage, in addition to the large open basement with endless possibilities for growth with full bathroom roughed in. Hop on the Backlick Run trail just moments away for a morning run with beautiful scenery. Groceries and local restaurants mere blocks away, and a stones throw from I395, I495, and I95, this beauty in such a perfect location will not last!" "Welcome to Whisperwood! 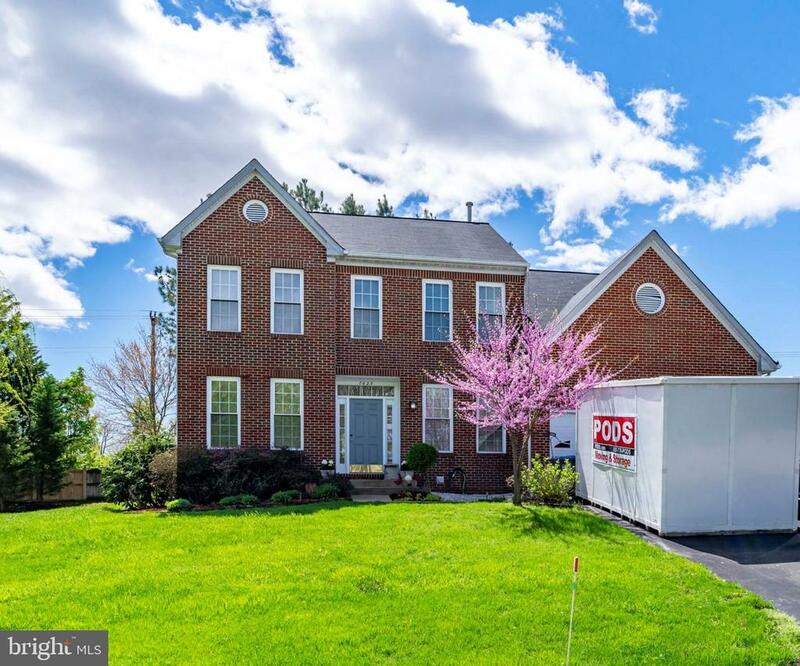 This 5 bedroom, 3.5 bath home is in move-in condition and wonderfully maintained with fresh paint, new carpet, updated bathrooms and new light fixtures throughout. 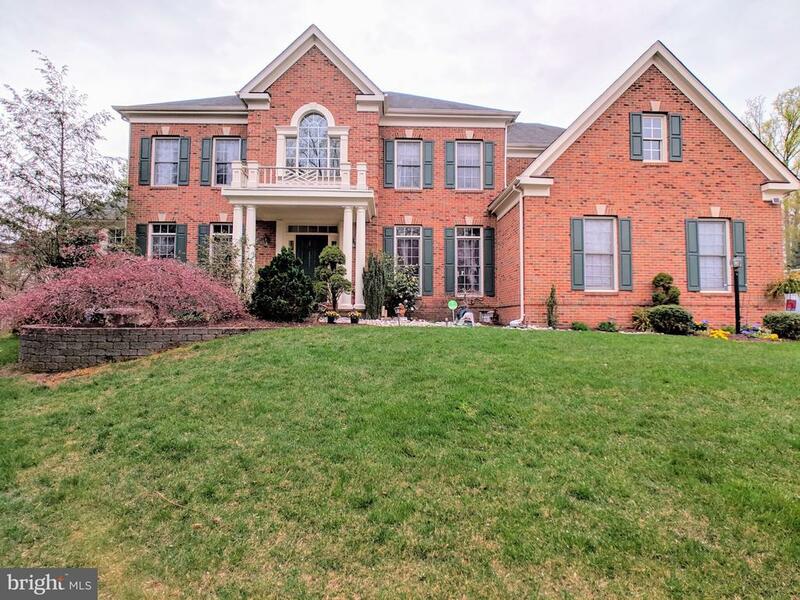 A two-story foyer welcomes you inside this beautiful home featuring formal dining and living areas, a spacious finished basement with the 5th bedroom/bonus room, an amazing deck and large family room with a wood-burning fireplace that are so perfect for entertaining. Stunning kitchen with stainless refrigerator, dishwasher, gorgeous granite counter tops, tile backsplash, striking cabinetry and a huge upgraded kitchen window that~s perfect for all your plants. An unbelievable master bedroom suite with a huge master bath and ample closet space is found upstairs along with 3 other bedrooms and another full bathroom. So close to shopping, restaurants, parks, schools and only 1/4 mile to commuter lot ~ very convenient to Metro & commuter routes also. You will LOVE this home and especially this location!" "Unique Colonial positioned on a corner lot. Large front yard, well landscaped. Family room, with brick fireplace and french doors to rear composite deck Family room open to breakfast room and kitchen.Large Recreation room in lower level with full bath and built in bar. Quite neighborhood close to shopping and all major roadways." 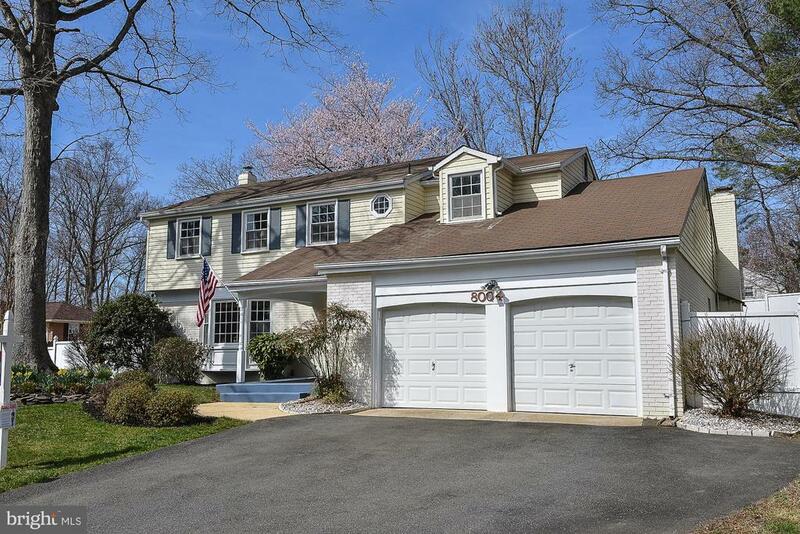 "Stunning 5BR 2.5BA colonial in sought after Cardinal Forest. Immaculate home. Pride of ownership shines throughout! Updated eat-in kitchen with granite counters, ceramic tile flooring, quality appliances, tile backsplash & large pantry. Gleaming hardwood flooring! Family room off kitchen with plush carpet, wet bar, gas fireplace, crown molding & brick hearth. Must-see sunroom addition has ceramic tile flooring, 4 skylights, ceiling fan, French doors, recessed lighting and walkout to patio. All 5 bedrooms on upper level! Finished basement boasts plenty of storage and huge recreation room. Private, fully-fenced back yard with large brick paver patio. Great for entertaining! Corner lot in quiet neighborhood. Recent updates include kitchen, baths, carpet, painting and much more! Walk to Lake Accotink Park! 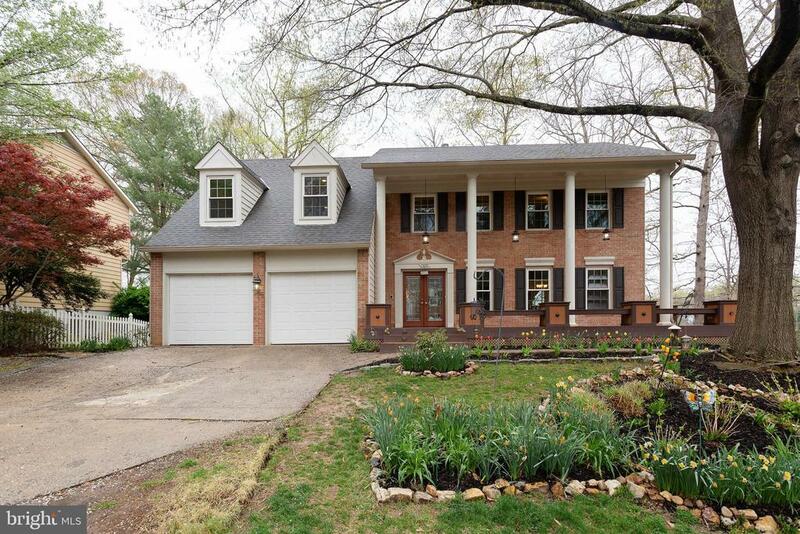 Incredible location close to shopping, restaurants, Fairfax County Parkway, I-95, Springfield metro, Ft. Belvoir and more. West Springfield HS pyramid!"